Searching for a financial advisor can be time-consuming and challenging. That’s why SmartAsset spent dozens of hours researching financial advisor firms in the Cleveland, Ohio metro area and narrowed your choices down to just 10 firms. Read about what each one offers in the reviews below. If you are interested in a tailored recommendation, try our financial advisor matching tool. Firms on the list are all registered with the U.S. Securities and Exchange Commission (SEC). SmartAsset excluded unregistered firms because they aren’t subject to client-protective rules and regulations. We eliminated any firm with disclosures or disciplinary issues or that didn’t manage individual accounts. After that, we ranked the top 10 financial advisors based on assets under management. With more than $4.72 billion in assets under management (AUM), MAI Capital Management leads the pack of Cleveland financial advisor firms. This fee-based firm has 32 advisors and was originally established in 1973, making it one of the older firms on this list. To become a client, you’ll need at least $500,000 in investable assets. For certifications, there are 17 certified financial planners (CFPs), 14 certified public accountants (CPAs), 10 chartered financial analysts (CFAs), two certified private wealth advisors (CPWAs), one chartered life underwriter (CLU), one chartered market technician (CMT) and two chartered retirement planning counselors (CRPCs). Unliked many firms, MAI charges performance-based fees, though this fee is only only charged if your portfolio does better than projected. The firm is a fiduciary, though, so it must act in your best interest. Originally known as Investment Advisors International, an affiliate of sports management firm International Management Group, MAI Capital has gone through a number of name changes and restructurings throughout the years. In 2014, the firm assumed the name it’s known as now. The principal owner is Richard James Buoncore, who owns 25% of the company. Services offered at MAI Capital management include wealth management, investment management, tax planning, financial planning and estate planning. In addition to Cleveland, you can find offices in Nashua, New Hampshire; Ponte Vedra Beach, Florida; and Irvine, California. Each strategy corresponds with its name. For example, the ETF strategy is a diversified portfolio containing exchange-traded funds (ETFs). This fee-only firm is aimed towards high-net-worth individuals and families. Clearstead Advisors' 700-plus accounts belong to those in the high-net-worth category, which is defined as having a net worth of $1.50 million or at least $750,000 in investable assets. Clearstead Advisors has nearly $3.23 million in assets under management (AUM). There are 33 advisorsat the firm. The team includes 13 chartered financial analysts (CFAs), 10 certified public accountants (CPAs), nine certified financial planners (CFPs), three chartered alternative investment analysts (CAIAs), two accredited investment fiduciaries (AIFs), two certified investment management analysts (CIMAs) and one accredited tax preparer (ATP). Until 2018, the firm was known as Hartland & Co. In 1989, when the firm was first founded, clients were defined benefit pension plans. As the years went on, the company began serving private clients. In 2014, Tom Hartland, the founder and CEO moved to become the chairman of the board of directors. Dave Fulton, a chartered financial analyst (CFA) is Hartland’s current CEO. The firm offers services such as investment management, financial planning, tax planning and compliance and family office administration. Investing at Clearstead Advisors is primarily limited to mutual funds and exchange-traded funds (ETFs) instead of individual stocks and bonds. Clearstead uses open-end mutual funds and ETFs and diversifies broadly across asset classes. When choosing which funds to invest in, the firm uses qualitative and quantitative investment manager research. The firm has an investment research committee that evaluates each security before it's presented to clients. To become a client of Fairport Asset Management, you’ll need at least $1 million in investable assets. Fairport has five advisors on staff, one of the smallest advisory teams on this list. The fee-only firm has more than $1.77 billion in assets under management (AUM). Fees are based on a percentage of assets under management. Originally founded in 1963 as Roulston & Co, Fairport came to be in 2001 when Roulston & Co merged with another firm called The Hickory Group. Kenneth Coleman and Heather Ettinger are the two managing partners at the firm. Both Coleman and Ettinger have 25 years of experience in the financial services industry. Services offered here include wealth management, investment advisory services, financial planning, tax planning, insurance planning and estate planning. As a new client, you’ll be walked through a number of questions related to your financial situation. One of the first is your time horizon, the next is what type of spending you expect and the last is your risk tolerance. This is how tolerable you are of fluctuations in the market. The firm has five different types of portfolios ranging from low to high risk: stable value lifestyle, conservative lifestyle, balanced lifestyle, growth lifestyle and aggressive lifestyle. Fairport uses an open architecture platform, which means your portfolio has a full range of investment possibilities. Like most modern financial advisors, Fairport builds diverse and global portfolios. 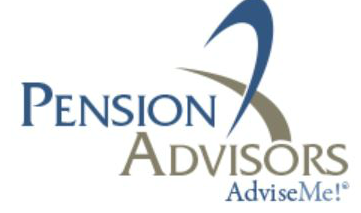 AdviseMe National Advisors, also known as Pension Advisors, manages more than $1.59 billion for clients. The firm also has an office in Puerto Rico and an advisor who works in Milwaukee and Chicago. There are a total of eight advisors on staff at AdviseMe. The Cleveland team includes one retirement plan associate (RPA) and one certified employee benefits specialist (CEBS). None of the firm’s individual clients are high-net-worth, and all of the firm's institutional clients are corporations. There is no minimum investment requirement at the firm, though some third-party asset managers may their own requirements. Clients at AdviseMe are billed either through a one-time consulting fee or hourly rate, or through an asset management fee, based on a percentage of assets under management. Advisors at the firm are also registered with an unaffiliated broker-dealer. Though they are eligible to receive commissions for selling securities, they do not receive this compensation for work with AdviseMe clients. David Kasnow founded the firm in 1999. He still owns the company and works as an advisor and serves as president and CEO. Possible investments used in client portfolios include stocks, mutual funds, government securities and real estate investment trusts (REITs). Wellspring Financial Advisors, another fee-only firm, states that clients with at least $10 million in investable assets are the best fit for the firm, though there is not technically an account minimum. This is the highest account minimum of any firm on this list. Clients of the firm include individuals, high-net-worth individuals, trusts, estates and entities related directly to existing clients, such as charitable endeavors. The firm has more than $1.28 billion in assets under management (AUM) and eight advisors on staff. The team includes five certified public accountants (CPAs), two accredited estate planners (AEPs), two certified financial planners (CFPs), one chartered alternative investment advisor (CAIA) and one chartered financial analyst (CFA). Wellspring Financial Advisors was founded in 2007. Michael Novak, Donna Thrane and Hedy Demsey own the firm. Novak, a certified public accountant (CPA) and personal financial specialist (PFS), founded the firm with Thrane. Novak is the managing director and has spent his entire career as a personal wealth manager. Thrane, CPA and PFS, has more than 20 years of experience working with high-net-worth individuals and families. Before co-founding the firm, she worked at Ernst & Young, one of the largest tax and consulting firms in the world. Demsey, also a CPA, joined the firm in 2009 and has experience advising high-net-worth families as well as with income tax and estate planning. The firm offers services such as financial planning, income tax planning, business succession and family office services. Wellspring Financial Advisors considers diversification, quality, liquidity and transparency as the four main drivers of its investment strategy. When building your portfolio, Wellspring advisors first consider your risk tolerance, time horizon, preferences and objectives. This is known as the “analysis” phase. Architecture is step two. Your advisors will create an investment policy statement and propose strategic allocation guidelines. Implementation is step three. At this stage, your portfolio is funded and set. The last phase is monitoring and reporting. Your advisors will periodically send you performance reports, outlooks and tax-related documents. You’ll verify that your investment policy is accurate and your portfolio is rebalanced as needed. Wellspring generally invests client assets in mutual funds and exchange-traded funds (ETFs). Gries Financial LLC is a fee-only firm managing nearly $871.23 million in assets for clients including both high-net-worth and non-high-net-worth individuals. The firm also advises institutions, including pension and profit-sharing plans and charitable organizations. Gries has 11 advisors on staff, including six certified financial planners (CFPs) and one chartered financial analyst (CFA). Fees for investment advisory services are based on a percentage of assets under management. Financial planning fees are charged on an hourly basis. Advisors do not earn commissions for selling securities or financial products to clients. A minimum of $1 million in assets under management is required for investment management services. 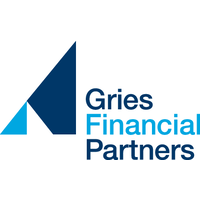 Gries Financial LLC began conducting business in 1978. The firm has three principal shareholders: Jeffrey H. Palmer, Edward J. Bell and Robert J. Herman. Palmer and Bell are managing partners, while Herman is a senior partner. Gries focuses on long-term purchases for clients, which means holding securities for a year or more, especially when the firm believes that the security is undervalued. The firm uses a number of types of analysis to come to its investment decisions, including fundamental analysis, technical analysis, quantitative analysis, qualitative analysis, asset allocation and mutual fund analysis. All of these are used together to come up with an appropriate investment strategy for each client. First Fiduciary Investment Counsel, Inc. is a fee-only firm managing more than $587.83 million for clients. Most of the firm’s individual clients are high-net-worth, though it does do some business with non-high-net-worth individuals. First Fiduciary also has institutional clients, including pension and profit-sharing plans, charitable organizations, state or municipal government entities, corporations and a charitable remainder trust. The minimum account size for clients is $1 million. There are three advisors on staff at First Fiduciary, including two chartered financial analysts (CFAs). The firm earns fees based on a percentage of assets under management. Some services may also be billed at a flat rate. Advisors do not earn commissions for selling securities or insurance products to clients. First Fiduciary Investment Counsel, Inc. was founded in 1975. Firm President Mary F. Anderson owns 51% of the firm. William S. Henry, the firm's chief operating officer, owns the remaining 49%. First Fiduciary Investemtn Counsel advisors believe in managing risk and using time as an ally for investors. The firm focuses on large capitalization equities that also pay dividends. The thought process is that when a company pays shareholders a dividend, it is more likely to be immune to market volatility. Vantage Financial Group, Inc. manages nearly $508.95 million for its clients. The vast majority of the fee-based firm's individual clients are not high-net-worth. The company also manages institutional money for pension and profit-sharing plans, charitable organizations and other corporations. Vantage has 24 advisors on its staff, including nine accredited investment fiduciaries (AIFs), five chartered life underwriters (CLUs), four certified financial planners (CFPs), four chartered financial consultants (ChFCs), one chartered retirement plan counselor (CRPC) and one certified employee benefits specialist (CEBS). Fees for portfolio management are based on a percentage of assets under management, while fees for financial planning are charged based on a flat fee or an hourly rate. There is no minimum account size requirement. Advisors at the firm may earn commissions for selling securities or insurance products to clients. This is a conflict of interest, but advisors are bound by fiduciary duty to act in the best interest of the client. Vantage Financial Group was founded in 1988. The principal owners are George G. Szeretvai, William M McCormick, Michael T. Bearducci, Michael F. Cleary, James Henyey, George D. Smith and Autumn A. Taylor. All of them. with the exception of Taylor. work at the firm. Szeretvai is the chairman emeritus. Advisors at Vantage Financial Group may use a variety of strategies to build a portfolio for its clients. This includes both long-term and short-term purchasing strategies, though long-term purchases (holding securities for more than 30 days) is the more integral method. Margin transactions and option writing may also be used. Fundamental analysis is the primary analytical method used by the firm’s advisors to decide which securities to purchase. Beacon Financial Advisory, LLC is a fee-based firm with more than $321.77 billion in assets under management (AUM). Most of its clients are non-high-net-worth individuals, though it also advises a number of high-net-worth individuals. Beacon does not advise any institutional clients. There are 17 advisors on staff at the firm, including six certified financial planners (CFPs), three certified public accountants (CPAs), two chartered financial consultants (ChFCs), one chartered life underwriter (CLU), and one chartered financial analyst (CFA). Fees for portfolio management are based on a percentage of assets under management. Fixed and hourly fees are charged for financial planning services. Advisors may make commissions for selling financial products to clients. This is a conflict of interest, but fiduciary duty binds advisors to act in the best interest of the client. Beacon does not have a minimum account size requirement. Beacon Financial Advisory was founded in 2014. The principal owner is Gregory Giller Randall, who is a managing partner and financial advisor at the firm. Beacon Financial Advisory uses a number of strategies in clients portfolios, including long-term trading, short-term trading, short sales, margin transactions and options. Modern portfolio theory is one of the analytical methods used by advisors at Beacon. This is a theory that attempts to maximize expected return given the amount of risk or minimize risks given an expected return. This is done by carefully choosing how much of each asset to purchase. Winfield Associates is a fee-only firm with $238.62 million in assets under management (AUM). The firm requires new clients to have at least $500,000 in investable assets. The seven-advisor firm has offices in Cleveland and San Diego. The firm's staff includes four chartered financial analysts (CFAs). Typical clients are business owners, retirees, business professionals, private investors and endowments and foundations. Fees for investment advisory services are based on a percentage of assets under managment. Fixed fees are charged for financial planning services. Advisors do not make commissions for selling securities. Four individuals own Winfield Associates: William Baker, president and CEO; Christopher Baker, CFO and chief compliance officer; Thomas Baker, director; and Mark Haley, vice president. William Baker holds the chartered financial analyst (CFA) designation and has spent 51 years in investment management. Services offered by the firm include investment management, private wealth advisory and pension consulting services. This firm uses asset allocation, fundamental analysis and qualitative analysis to make investment decisions. Asset allocation is the popular philosophy for most financial advisors. It stems from modern portfolio theory and emphasizes the importance of broad diversification across asset classes for the best possible result over time. Your portfolio’s asset allocation of equities, fixed income, alternatives and cash is dependent on your investment goals, risk tolerance and liquidity requirements.